When spring arrives, it feels like the whole world has been waiting—but maybe you haven’t been as excited. 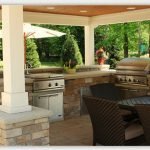 Maybe you’re not thinking of fresh breezes and blossoming flowers, but rather about the garage or storage shed that’s been overdue for spring cleaning. On second thought, couldn’t we have just one more week of winter? Of course, you know that you’re better off facing it head-on. It’s hard work, but you’ll feel great when you’ve got a clean and organized storage space at the end. Roll up your sleeves, cue up your favorite music, and follow these eight simple tips to get the most out of your spring cleaning. Before you start cleaning, you should have some idea of which areas need the most work, as well as how you want the final result to look. Make a list of goals and priorities, such as items that you’d like to be able to access easily or storage systems you’d like to improve. Maybe you need to prioritize having a clear path to get your bike out, or you need to finally work out a system to store your tools efficiently. This plan can help guide your work as you clean and organize. Make sure to include anyone else who will use the garage, like your significant other or relatives who live with you, in the planning process. You want to make sure you’ve got a plan that works as much as possible for everyone. Rather than going at it with a piecemeal approach, moving a few items at a time and putting each set back, some experts recommend that the first thing you should do when cleaning your garage is move everything outside. This will help you end up with a truly clean space, rather than a merely tidied-up one. You can work in sections if it helps, rather than doing absolutely everything at once, but the point should be to get each space as close to empty as possible before you start working on it. Seeing what your space looks like empty will also provide you with a good perspective for visualizing your new storage strategies. If it’s been a while since you did a thorough garage cleaning, this step is extra-important. This will likely be, by far, the most convenient opportunity you have to do this cleaning, at least until next spring rolls around—so take advantage of it! Besides a standard sweeping and mopping, a garage deep-cleaning should include knocking down cobwebs, wiping down all surfaces, and cleaning windows and doors. Be systematic about your cleaning. Work from the back all the way to the front or try a four-corners approach. The only right way to do it is the way that works for you and helps you get a clean garage! 4. Decide (honestly) what you really need. Decluttering is one of the biggest key steps for a clean storage space. 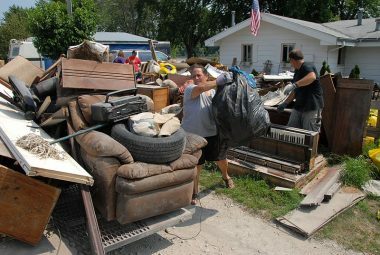 It’s hard to go wrong with the three-pile system, with one “keep” pile, one “donate” pile, and one “toss” pile. If you haven’t used a given item in over a year, it’s a pretty clear sign that, unless it has sentimental value, it should probably be on its way to “donate” or “toss.” You’ll probably have your own personal criteria to add as well. If you’re really having a hard time deciding whether to let some things go, you can always do a two-stage sorting by adding a “maybe” pile, then going back and tackling it after you’ve finished the rest of the sorting. Should you want to save something from the maybe pile, try to have a definite, concrete reason to save it and a plan for how you’re going to use it soon. Once you’ve (hopefully) eliminated the space occupied by unused items, it’s good to also look at reducing the space occupied by things you do use. For example, you can corral and properly store bulky extension cords and hoses without damaging them by using a hose reel or wall hanger. If you usually have vehicles such as cars or lawnmowers in your garage or shed, you’ll probably take them out while you’re cleaning to make it easier. Make sure you have a solid idea of how much the vehicles usually take up, or you might find yourself reorganizing when it’s time to put them back in. Don’t be afraid to break out the measuring tape if you need to. As much as it’s easy to just throw something on the floor, remember that we’re trying to think about the long-term here. Floor storage tends to be the messiest and one of the worst ways to organize things, and it’s also much more vulnerable to flooding. Spring cleaning is the perfect time to install some new shelves in your storage space. Shelving units create significant amounts of new storage capacity by allowing you to utilize the vertical dimension of your space. If you really need to increase your storage capacity, you can even try ceiling-mounted tote storage racks or creating a hand tool storage system. Spring cleaning is also the perfect time to make sure things like garage doors are functioning correctly. 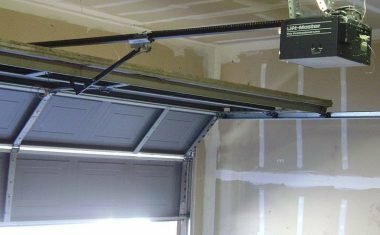 Check the mechanisms of your garage door—there’s a good chance they need cleaning, and many homeowners neglect this until it becomes an issue. It’s also a good time to check the status of HVAC vents that may normally be hard to access. Make sure they’re free of dust, dirt, and/or animal hair. 8. Keep an eye out for animal signs. Speaking of our furry friends. When you’re cleaning, make sure you look out for signs like droppings and nests that indicate uninvited guests accessing your garage. 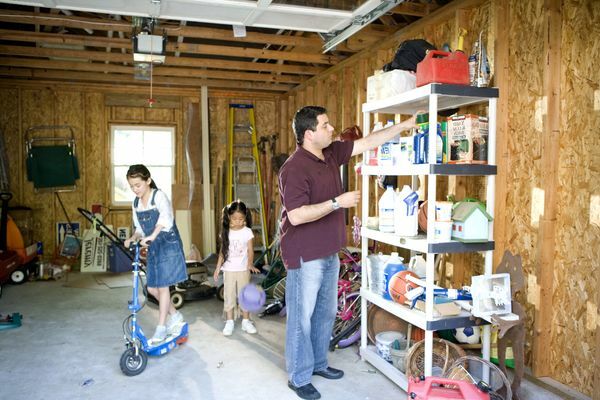 It can be easy to miss these key signs when your garage is messy, so take an extra second to look while you’re cleaning. 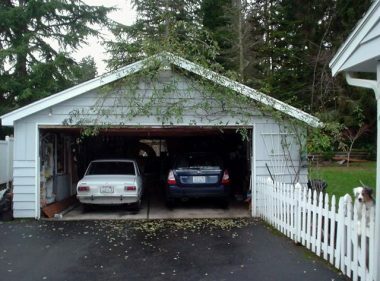 If you need to keep wildlife from accessing your garage or shed, there are several animal repelling techniques that are inexpensive and effective. Spring is the best time for a fresh start, and there’s nothing to give you that feeling like a well-cleaned garage or shed!. Try these tips, and you’ll probably find that spring cleaning gets a little bit easier. In the end, the best spring cleaning strategy is the one that gives your space the look and functionality that you like the best. Halle Summers is a Marketing Coordinator for FASTENation Inc. , a premier global manufacturer, technical converter, distributor, and designer of adhesive based fasteners and tapes. Halle enjoys sharing her unique perspective and knowledge through her blog writing. When she isn’t writing articles, she enjoys spending time in downtown Charleston, South Carolina and all the amazing food her hometown has to offer.